Beards and the men who made them famous. Beards help prevent frostbite on the face. It protects the face from harmful pollutants in the air which in turn keeps your facial skin from looking "Aged". It acts as a kind of natural respirator, keeping the majority of those same pollutants from entering your mouth. It helps to prevent acne spots and pimples on your face. Can prevent sunburn on the face. Of course, once you shave you look a bit pale. Noshember - No shave November. This is practiced by millions of young guys around the world as a kind of competition of manliness. Full and Friendly Follicle Forest. Ahhhh, the beard. A field of study that I'm a grade A, number 1, U.S. choice expert in. The mystery and authority that comes with it is unparalleled. It is the epitome of manliness that's genetically given to most of the male population. You could take a hundred pound nobody and turn him into a figure of mystique and power by just having him neglect the razor for a few weeks. Since the dawn of time, the beard has had many shapes and forms; with that comes different meanings for different cultures. In Babylon, the beard was so highly regarded that it was regularly oiled and curled with hot irons. 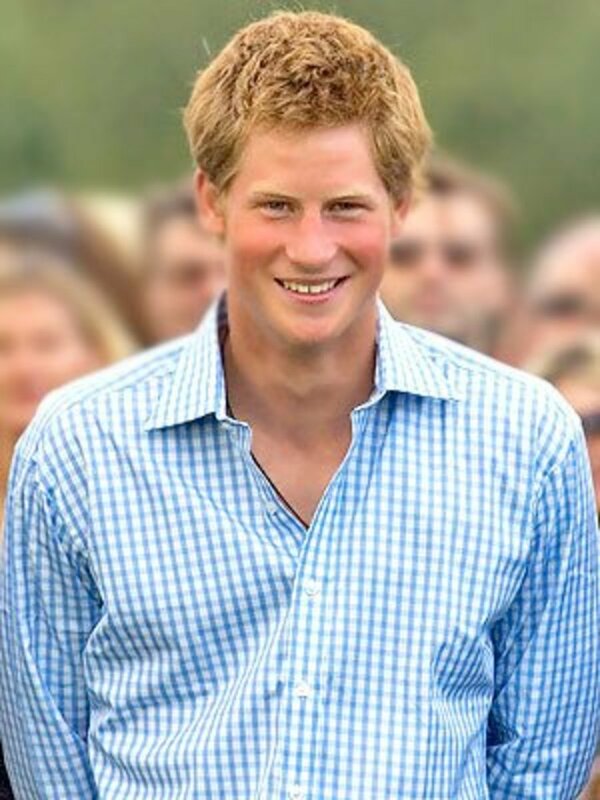 Egyptians would consider someone with a thick beautiful beard to have a place of high status in their society. The Greeks viewed it as a sign of power and prowess. The Bible has many passages referring to the importance of the beard. 2 Samuel chapter 10 historically documents King David going to war with the nations of Syria and Ammon because they had captured and humiliated servants of his. How? Well among other things, they shaved off half their beards. That was seen as one of the ultimate insults you could give in ancient culture. I remember when I was younger, around 12 or so, and my peach fuzz had just come in. I was so amazed at it, and like all young men at that age, I couldn't stop playing around with it. I would twirl it in my fingers and just marvel at the sudden growth of soft stuff on my face. I guess I should've seen it coming, my father was a bear after all! But I'm not the only guy out there with one. Truth be told, there are some beards out there who are famous because of the people they're attached to. What kind of beard have you grown? Mine kind of looks like a chia pet when full. Brother, I stick with the goatee. I've tried water and miracle gro but I can't get even a sprout! I'm a lady, and not a bearded one. The style we're going to focus on in this hub is the Full Beard. This is so popular that they've even designed a beanie called the Beardo to take advantage of the natural protection against cold that the beard gives your face. This beard is special. This style says that I can kill every single bad guy in every single movie I'm in. This style is the ultimate machismo in the search for grandiose action heroes and it shows! It's almost like it's an unspoken law that when this beard appears, bad guys within the general viscinity of 10 feet of it should die. It's kind of like Evil Villain Kryptonite! This style evokes a sense of 80's manliness that's rare to come by these days. In the time of metrosexual pale vampires and peach-fuzzed teen wizards from Hogwarts, the manly beard is sorely missed. Oh, don't get me wrong, it's beginning to make a comeback. Shows like Beard Wars and Duck Dynasty are starting to bring it back with a passion. This list is going to detail a few famous guys who rock this manly style well. Chuck Norris. Man, Myth, Legend. 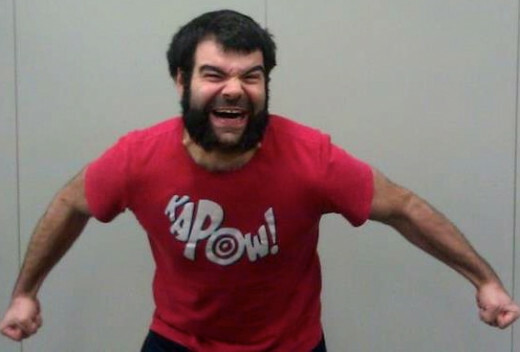 Tis said that there is no chin behind this beard, only another fist! 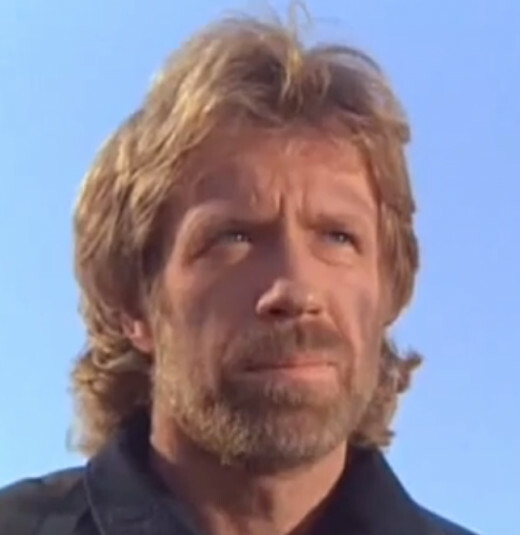 Chuck Norris - a man who is not unknown to the masses around the world. The memes about this man are stuff of legend. His is the basic full manly beard but one that says that I have complete control of each and every situation I'm in. 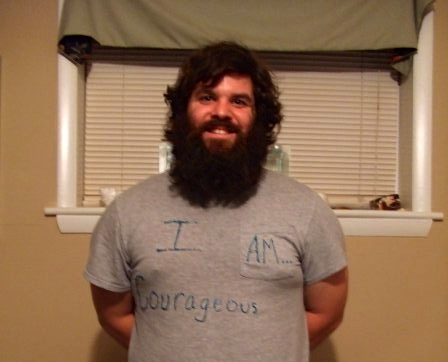 The authority of this beard says it all! Chuck has a few claims to fame that add to the mystique of the man. One of the biggest is that he actually fought the legendary Bruce Lee......and lost. Of course, supporters of the man are quick to point out that Chuck Norris is still alive while Bruce Lee has long since passed. Coincidence? The beauty of this beard is that it only takes me roughly 3 weeks to grow, so I am definitely a big supporter! Gerard Butler's beard is a force to be reckoned with. This beast measures in at just over a foot from the ear. So manly it could wrestle a hippo. 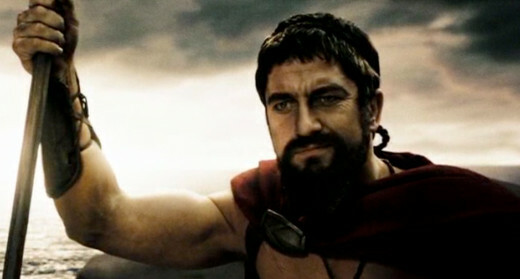 The one movie that cemented Gerard Butler's role as a leading man was "The 300 ". This is also the movie that proved that Subway wasn't the only home of the footlong! The most amazing thing about this beard is that it almost didn't exist. Gerard Butler goes on record as saying that he had grown a shorter, sexier version to begin with. But after some deep thought about it, he decided that if he was going to play this warrior king, he needed the Grand Daddy of em all Beard. So he grew that bad boy out another 8 inches or so and now we have this amazing Chin Spear! This is one I've thought about attempting myself but I don't know that I have the patience to wait that long. This one takes months and months of tender loving care to grow, but if you want to intimidate the unrelenting armies of Persia, by all means go for it! Is this even a beard? Jury's still out on this one. Okay, okay.....technically called the WOLVERINE. I don't know, I just wanted the title to be something you didn't expect! This style gives you the uncanny ability to look ticked off and angry no matter if you were laughing, smiling, or crying. 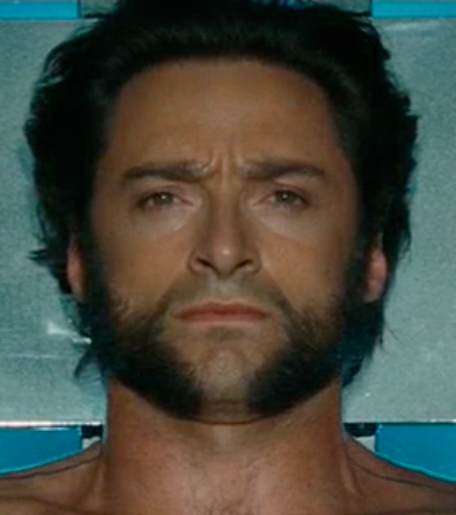 Anyway, this one is Hugh Jackman. He made this famous with his appearance in the X-Men franchise. Funny enough, this role was a defining one for him as well as it opened up many opportunities for his movie career. The uniqueness of his over-sized mutton chopped appearance led many a fanboy to emulate his luscious locks! Thankfully, they don't have blades coming out of their fists. I haven't tried this one yet, it looks pretty ridiculous. Pay no attention to the picture to the right. That's....someone else. Very few people can actually pull this off and look this good. Mr. Connery is one of them. Somehow, he manages to pull off youthful and jubilant with the moustache.....and a wise older jedi master with the rest of it. Reminds me of old Obi-wan Kenobi with a Scottish accent. 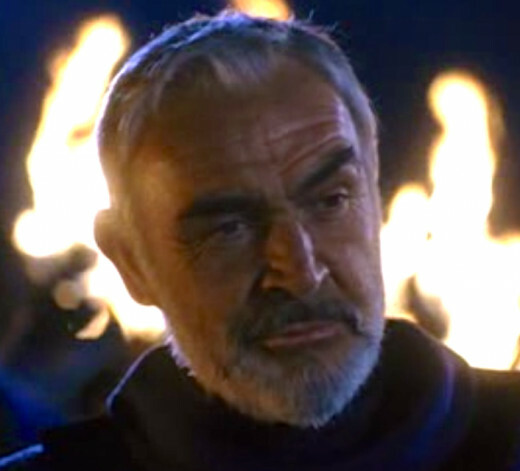 Whether it's commanding renegade submarines in "The hunt for Red October" or ruling a kingdom as King Arthur in "First Knight", this beard adds a sense of wise authority mixed with the ability to have everyone younger relate to you. I wouldn't know much about this one. I'm sure some of my readers probably do. 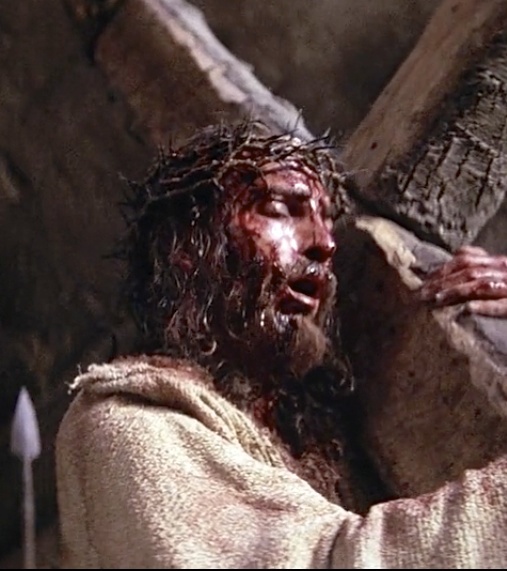 Jim Caviezel made this famous with the "Passion of the Christ." 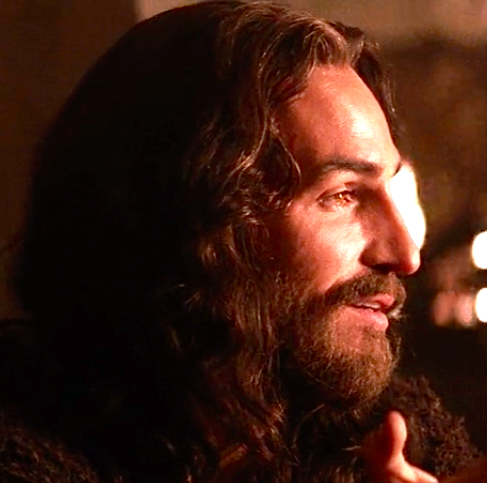 Jesus Christ sported this look when he decided to come down to our level. The reason we know he actually had a beard is because of the culture of the day in ancient Israel. It would've been counter-cultural for him not to have one, and I always like to say that God is not like a space alien bringing something high tech to cavemen. He meets us right where we are and relates to us. For the Son of God who died for all mankind's sins, it requires a two step approach. First is the almost King Leonidus look. Long hair over the entire face. It almost has a sense of empathy, love, and authority to it. The second is the bloody beard look. I don't recommend this one as it requires you to go find some people to beat you nearly to death. I respect this look highly but don't want to emulate It. The Wiz is made popular by....you guessed it, wizards! The Wiz is typically over 2 feet long and scraggly. As there are many wizards over the years to grace the silver screen, only a few really have made a lasting impact on me personally. 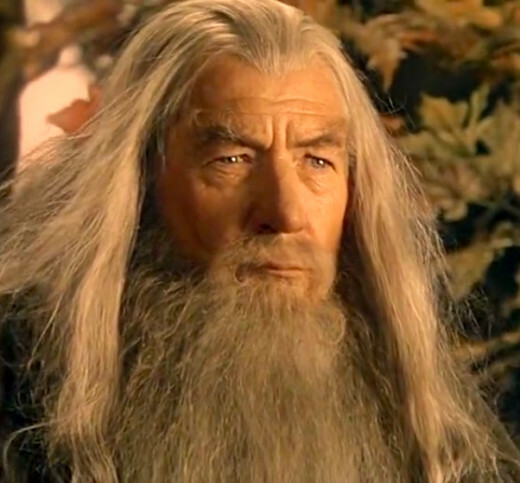 Probably the most well known and beloved wizard is Gandalf the Grey from the "Hobbit and "Lord of the Rings" series. Played by the amazingly talented Sir Ian Mckellan, he is an absolute staple to J.R.R. Tolkien's stories. You'll find Gandalf spending most of his time hanging around Hobbits, going on adventures, and smoking pipe weed. This style portrays years of authority, wisdom, and experience, with a touch of grandfatherly compassion and kindness as well. It's also a warning to those who would raise the banner of hostility; the wielder of this beard has the power to roast you to death with a mere look. Santa Claus is the most successful movie star of all time. He's starred in more movies than possibly any other person in the history of cinema. Chew on that for awhile. 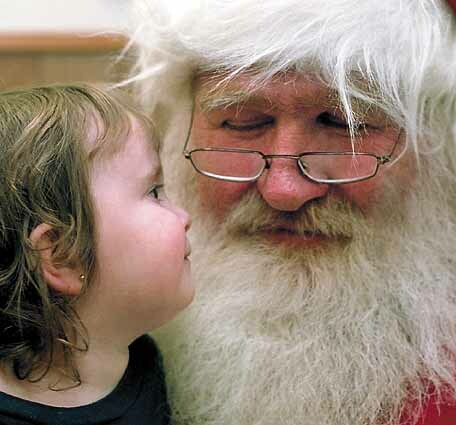 No Famous Beard list would be complete without adding Santa's into the mix. There are many origin stories of this legendary figure. About 90 percent of the world's population know him by many names; Father Christmas, St. Nicholas, or Kris Kringle, just to name a few. One thing is for certain, the kiddies look forward to this beard around Christmas time! They know that when they see him sitting on his little red throne in malls and department stores that the gifts will be pouring in like crazy. All they have to do is sit on his lap and tell him what they want. You may have seen these beard-cladded hillbillies on A&E during the week. Needless to say their show is very popular, and it is one of a few on air right now bringing beards back into the limelight. Their beards are an amalgation of the Wiz and the Claus styles. This video kind of says it all. Well guys, I hope you liked the Big Beard Off. I hope you learned something from it, that it brought some laughs, and enjoyed it overall. Beards, what would we do without em? 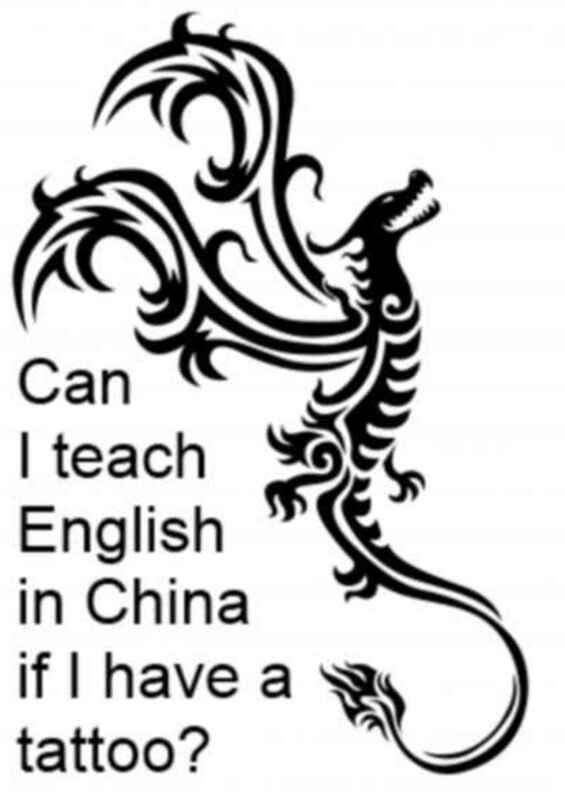 Can I Teach English overseas or ESL in China if I Have a Tattoo or Beard? Pros & Cons of Being Famous + Be Prepared for Fame! Thanks for stopping in Almorr. I hadn't heard that before, that's actually quite interesting and funny. I am not sure I would want to stop trimming or even shaving for that matter for that amount of time. But it would be interesting to find out if that is true. Have a great one. Thanks so much Stevenson, it was a lot of fun to write. 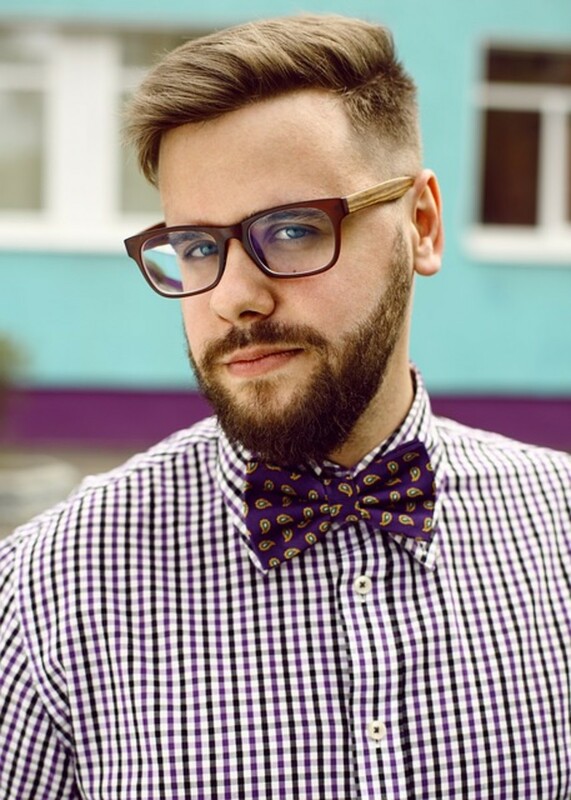 Great post about beards, I was reading somewhere that a beard stops growing at about 6 years in an adult man, give or take a few months, so if a man started to grow a beard at say 25 when he is at full growth, the beard would not get any longer beyond 31. If a boy of 13 started to have fuzz on his face but did not use blades whatsoever, by the time he was 20 he would of course have a good beard, however, his beard would probably continue to grow up to about 25 before it would not get any longer, in that case the 6 year rule would not apply, it probably only applies to adult men over the age of 25. Interesting thoughts on that one. I personally can grow a beard very quickly, at 2 months its good, but I have not been brave enough to allow any more than thick sideburns to grow out in that time, perhaps one day I'll say that I am not going to shave for at least 6 months, better still 1 year or maybe that magic 6 years, can't see me doing that. Thank you avineshp. I appreciate you dropping in ! A unique concept for a hub. Lol, I almost considered a Riker one. I'm a big Star Trek: TNG fan as well so I completely get you there. I think the Norris one almost takes care of it.....but Riker's was so well groomed. I should maybe update it to reflect that, lol. Thanks a lot for your comment Krista! Thanks so much Michele. As time slowly drags on, I'm beginning to think I will have a two-tone in the future, let's just put it that way. I appreciate your dropping by and comments! Interesting hub, my hubbie used to have a two tone when we were in college and was able to pull that off very well. Now he just shaves. Lol, thanks so much ladydeonne. I thought it was pretty awesome that the beard was that long and took him forever to grow it. I'm still amazed that no one else in over 100 years has broken it yet. I appreciate your dropping by. 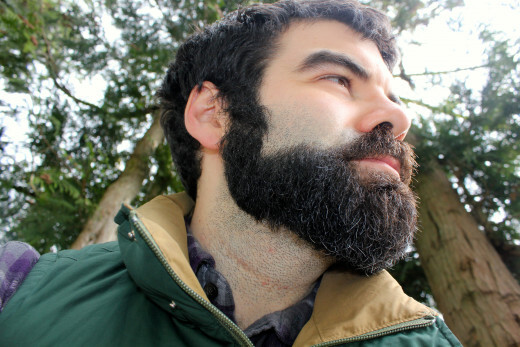 Very interesting and informational hub on beards. The beard that holds the world's record is awesome! I love a man with a beard and a pipe. It looks very Rockwellian. Thanks for such a unique hub! That's awesome brother. I have seen a grey or two popping up lately as well so I know the feeling of hair color changing. I'm thankful it's going slowly, but age creeps up over time. My grandfather still has a lot of black hair to this day, so I'm hoping I keep mine! Thanks for dropping by and your votes Michael. 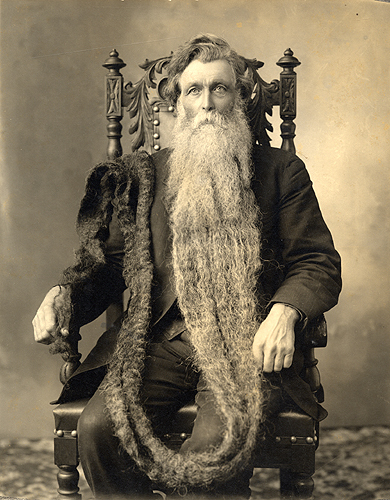 Man this is an awesome hub on beards with the history, styles and all. And that's right, Bruce Lee may have beaten Chuck Norris in the movie with the Roman Coliseum showdown but whose still around, right. Yep, you've done the styles in fine style Kas, from the Beardo through to the Duck Dynasty. Excellent piece bro, very enjoyable. Btw, the times I've grown one the ladies really seemed to like it- there must be something to the itchy face after all! And if he pulls it off well Audrey, then he's a boss! Not too many guys can pull it off successfully. Thanks so much for your visit and comment! Hilarious. A little salt has been peppering my beard lately as well. Scotland is on my list of places to visit speaking of which. Guinness is a great drink, although I'm not sure the difference between the States' version and Scotland's version! Thanks so much for the comment and votes Chef! A splendid creation, and your cousin's beard is good too. You get my votes, but just by a whisker. When I lived in Scotland up in the hills I found my beard growing all by itself, forcing its way through like lots of mini scotsmen trying to get to the whisky bottle? It turned out to be a shade gingery which the people of Edinburgh appreciated I'm sure. That beard was great for savouring the Guinness! Nowadays I'm content with a salt and pepper goatee. Yeah man, I started to notice a little bit of gray in my beard several years back. Unfortunately I think it came from being in a relationship with a girl I had no business being in. I call em stress hairs. My wife likes salt and pepper so she says when it seriously starts coming in, she'll love it. Yeah, the king Leonidas. I kind of had one going at 3 months, I was going to shave the sides a bit to make it like the chin spear but I lost patience. Thanks for the comment and the votes! I had to give this numerous kudo's, or thumbs up. As a beard person myself, this really resonated. Well done! Especially the King Leonidas beard! I only wish mine wasn't so gray! Thanks a lot Tammy, I was in a really good and hilarious mood writing this. I was like, what am I thinking? I just wanted to be unique. It hasn't gotten much exposure really but I think that's because it's so different, lol. Yeah, it's hard for me to want to part with my beard when I grow it. Totally understand. Thanks for the comment! This is one of the most unique hubs I have seen to date. Epic beards run in my family, with the males of course. My son has a super long goatee that he won't part with. I realize how important beards are to a fellow. Great thinking out of the box. Fun and entertaining! Thanks a lot Rajan. I was in a funny mood when I decided to do this hub. The thought came up and I was like, how many good beard hubs are there? And considering you have a beard, you can relate! Appreciate the comment brother! Very informative c hub Kas! It was interesting reading about these different kinds of beards. Lol, glad you liked it man. It was a different kind of hub for me but I wanted to branch out a bit. 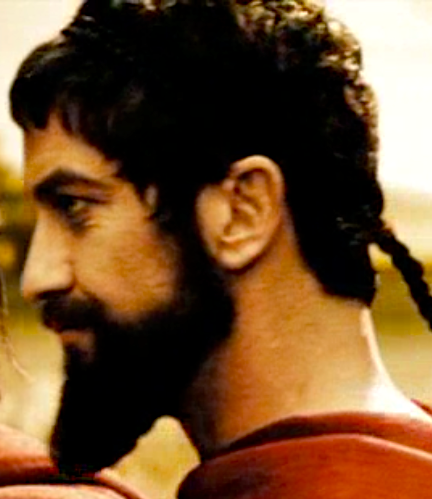 And if your chin is getting dangerous ideas, maybe you should try the king Leonidas beard. See how that suits you. Thanks for the comment! Gee Whiskers! This was a very interesting and informative hub. My chin follicles are starting to get dangerous ideas, though.